In his Introduction Dr. Wilbur Smith writes: ‘In a day like this in which we are living, when the governments of the world are breaking up, in a day when a vast part of the earth is controlled by a merciless dictatorship, when multitudes of Christians have already known persecution, and many more will before this age ends, there is hardly any book in the Old Testament we could read with more profit than the book of Daniel and scarcely a commentary on any portion of the Old Testament quite so profitable as Calvin’s two volumes on Daniel. This volume has been reprinted from the Calvin Translation Society two volume edition of 1852-53, edited by Thomas Myers. John Calvin (1509-64), the French theologian and pastor of Geneva, was one of the principal 16th-century Reformers. Calvin was born on 10 July 1509, in Noyon, about sixty miles north-east of Paris. His father – Gérard Cauvin – held legal office in the service of the bishops of Noyon, and wanted his son to enter the church. He used his influence to obtain a chaplaincy at Noyon Cathedral when Calvin was 11, the income helping to fund his education. The young man was privately tutored, before being sent to Paris at the age of 14 to study theology at the University. He first attended the Collège de la Marche, then the Collège de Montaigu, where he received the equivalent of his Master of Arts in 1528 at the unusually young age of 17. Some of Calvin’s instruction was given by the brilliant Latin scholar Mathurin Cordier, and he obtained a first-class education. At about the same time as he received his M.A., Calvin’s father changed his mind about his son’s future, and directed him from theology to study law at the University of Orléans. It was here that Calvin learned Greek, and developed his powers of analysis and rhetoric – not unhelpful skills for a man whom God was making a minister of the gospel. Within a year, Calvin was sufficiently advanced to begin teaching incoming scholars. He moved on to Bourges in about 1529, returning to Noyon for the burial of his father, who had died quite suddenly. Released from his father’s seemingly quite heavy governance, Calvin spread his wings as a humanist, publishing his first and only humanist work at the age of 23, a commentary on the younger Seneca’s De Clementia (On Mercy). In the same year, 1532, he received his doctor of laws degree. Calvin’s fierce dedication to study during these years was near-legendary, but almost certainly laid the foundation for his subsequent struggle with ill-health. I tried my best to work hard [in the study of law], yet God at last turned my course in another direction by the secret rein of his providence. What happened first, since I was too obstinately addicted to the superstitions of Popery to be easily extricated from so profound an abyss of mire, was that God by an unexpected [or ‘sudden’] conversion subdued and reduced my mind to a teachable frame. And so this taste of true godliness . . . set me on fire with such a desire to progress that I pursued the rest of my studies [in law] more coolly, although I did not give them up altogether. Once converted, there was no looking back for Calvin – he embraced the new teachings that accorded with the Word of the living God, and his life was never again the same. Forced to flee from Paris in 1533 – he was lowered by sheets from a window and escaped the city dressed as a manual labourer – Calvin sought rest where he could. He studied the Scriptures, and by May 1534 had resigned his holdings in the Roman Catholic church. By 1535 he was forced to leave France altogether, departing from Angoulême, and heading to Basel in Switzerland. There he wrote the preface for the French translation of the Bible made by his cousin Olivétan. In France, some of Calvin’s dear friends were already dying in martyr’s fires at the hands of Francis I of France. By 1536 Calvin had completed and published the first edition of what has become known as Protestantism’s magnum opus, his Institutio Christianae Religionis, or The Institutes of the Christian Religion. Repeatedly revised and expanded to its final form, this was originally a fairly brief outline of the true Christian faith (published by the Trust as Truth for All Time, as a small paperback and a Gift Edition Pocket Puritan) designed to demonstrate to the persecuting French monarch the realities of the belief and lives of the Protestants of France. At the young age of 26, Calvin’s grasp on the fullness of God’s revelation, and his genius for precise statement and comprehensive organization and systematization of the truth, were becoming more publicly evident. Calvin headed to Strasbourg in July of 1536, determined to live a life with his head among his beloved books. Avoiding a raging war between Francis I and Charles V of Spain, he took a long detour south, arriving in Geneva for an overnight stay. Here, William Farel heard of his arrival in the city and sought him out. The fiery Farel was a powerful advocate for the gospel cause, and he set out to persuade Calvin to give his gifts and energies to that cause in Geneva. Calvin, by no means weak-willed himself, insisted that his heart was set on private study. However, he was persuaded to stay, and in September 1536, all necessary business addressed, Calvin took up residence in Geneva as a ‘Reader in Holy Scripture’. He received no pay until the following February, and was generally referred to in official papers as ille Gallus – ‘that Frenchman’. Calvin quickly rose to prominence. He and Farel sought to bring the whole city into conformity to Scripture, bringing them into conflict with the civil authorities both politically and personally. Among other things, Calvin and his fellow-workers attempted to fence the Lord’s table by withholding the elements from those living in open sin. This was not acceptable to the Councils, and in April 1538 – without a hearing – the Reformers were simply banished from the city at short notice. Calvin made his way to Strasbourg, in Germany, where he found a friend and mentor in Martin Bucer. He spent three years in that city, preaching, pastoring, writing, teaching, and learning. He also found ‘a good thing’ – in 1540, at the age of 31, he married Idelette de Bure, a widow in his congregation. Though their married life was in many respects a great joy, it was tempered with profound griefs: Idelette miscarried once, lost a daughter at birth, and delivered a son who died after only two weeks. Idelette herself died on 29 March, 1549, at the age of 40, and Calvin never remarried. Calvin was not in Strasbourg for long. By 1540, the Genevan situation was awful: there seems to have been a widespread collapse of public morals and civil order. In desperation, the authorities turned to the man whom they had banished, and the reluctant Reformer re-entered the city on 13 September, 1541, never again to relocate. When Calvin climbed back into the pulpit at the cathedral of St Pierre, he resumed his ministry at the precise point at which he had paused three years before, taking up the next verse of his systematic exposition of Scripture. This second period in Geneva lasted until Calvin’s death on 6 February 1564. Most biographers and historians view it in terms of years of struggle (1541-1555) and years of triumph (1555-1564). 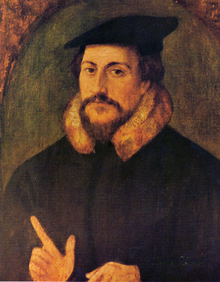 In November 1541, Calvin’s Ecclesiastical Ordinances – his constitution setting out proposed church order – were accepted with some emendations by the Genevan authorities. However, despite the political decree, there was no plain sailing. The party opposed to Calvin was known as the Libertines, and they openly confronted him. But God spared his servants, though further struggles and threats of violence followed for many months. Slowly, Calvin and his associates pressed for the application of God’s Word to the life of the church and to society at large. By 1555 the political opposition of the Libertines was essentially ended. Calvin was primarily a preacher of God’s Word. On his return to Geneva from Strasbourg, he preached twice every Sunday, and then on Monday, Wednesday and Friday. Later he preached only every second week (by which stage there were Tuesday and Thursday sermons also). The New Testament was his text on Sundays, the Old on weekdays, with the Psalms sometimes on a Sunday afternoon. This preaching effected a massive moral change in Geneva, as the church and then society found the Word of God brought to bear unflinchingly upon them. We have two thousand sermons still available, of perhaps more than four thousand preached. Calvin’s international influence was vast, not only by means of correspondence, but also through visitors. Exiles came from France, England and Scotland; refugees fled to Geneva from Germany and Italy – they came seeking both safety and instruction. 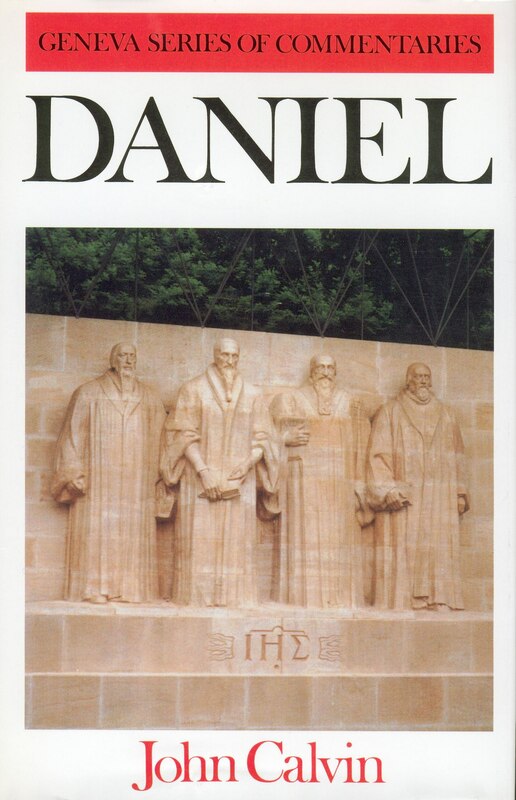 Among them was John Knox, who declared the church which Calvin was reforming in Geneva as ‘the most perfect school of Christ that ever was in the earth since the days of the Apostles.’ In 1559 Calvin founded the Geneva Academy. Calvin was its professor of theology, and more than a thousand students from across Europe sat to hear him and Theodore Beza declare God’s truth. The Academy was known as ‘Calvin’s school of death’ because so many of its alumni were put to death as a result of their witness for Christ. From his early thirties Calvin had begun to suffer physically, and bore numerous afflictions. He had become a chronic sufferer from ague, catarrh, asthma, indigestion, and migraine headaches which sometimes kept him awake all night. In 1558 he suffered at length from quartan fever (an intermittent malarial fever) from which he never fully recovered. He also suffered from close-to-crippling arthritis, gout, kidney stones, ulcerated haemorrhoids, gum disease, chronic indigestion, and pleurisy that finally led to malignant pulmonary tuberculosis. For years, so afflicted, Calvin had often coughed up blood on account of his public speaking. Calvin was naturally timid, even fearful, which makes his courage all the more amazing. He was an affectionate and faithful friend, an intense man of deep feeling and penetrating thought. Worn out by his labours, he preached his last sermon in Geneva on 6 February 1564. On Easter Sunday he went to church for the last time, singing with the rest of the congregation at the conclusion, ‘Lord, now let your servant depart in peace . . . for my eyes have seen your salvation.’ On 25 April he dictated his last will and testimony, and entered his rest and reward on 27 May, at the age of 54 years. His body was buried in a simple coffin at the common cemetery on Sunday 28 May, in accordance with his wishes. His grave was unmarked, and remains unknown.